PLEASE DO NOT FORGET ABOUT THE ORDER FORMS FOR T-SHIRTS, DVD'S, PICTURES, AND VOLUNTEERING! Tuesday 3/19 – 3-7 Picture night! ***Students that are paying for individual photos should report to Mrs. Miloser as soon as they are in costume. The cast photo will be taken at 5:15pm. 3/25 – SCHOOL PERFORMANCES arrive at HS at 7:30am. Performances at 9:30am and 12:30pm. Pizza is being provided for the cast. We are asking members to bring either chips, cookies, and drinks. The list is divided up by last name. Starting Thursday March 21th students can start bringing in their contribution for the cast party to the costume room. Please note that this party is for the cast members only. Parents should plan to come back to the HS lobby to pick-up their children between 9:30 – 9:45 pm unless you have been scheduled to help. If you have any question, please contact Mrs. Miloser. 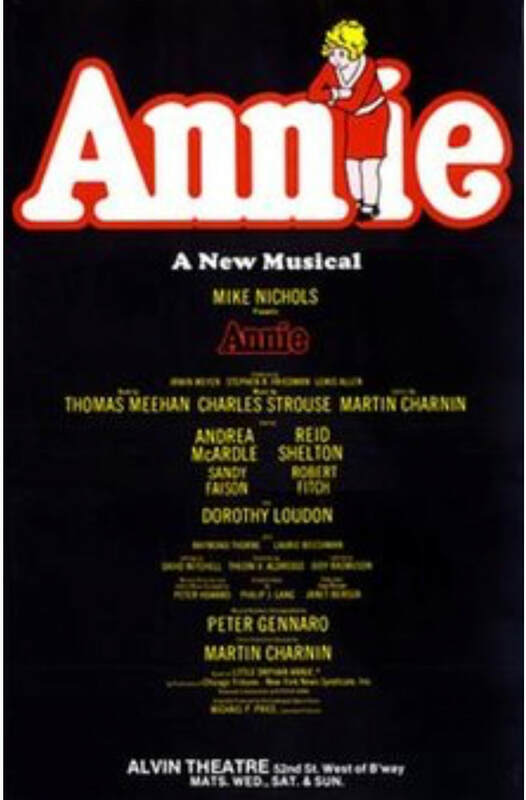 ANNIE SCHEDULE WILL BE POSTED SOON!